Amputees in low-income countries do not have access to prosthetic care because of poor healthcare infrastructure, economic hardship and the limited availability of prosthetic components. The World Health Organization estimates that 80% of amputees live in low-income countries, yet only 5% of amputees have access to prosthetic care. For people missing an upper-limb, the lack of a prosthesis is a major disability that affects their quality of life. The aim of the Victoria Hand Project (VHP) is to create a system to manufacture and clinically distribute 3D-printed upper-limb prostheses. The system is centred on the Victoria Hand: a complete, upper-limb, body-powered prosthesis consisting of a hand, a wrist unit, a limb-socket and a harness. It’s specifically designed for production in low-income countries where it is needed. 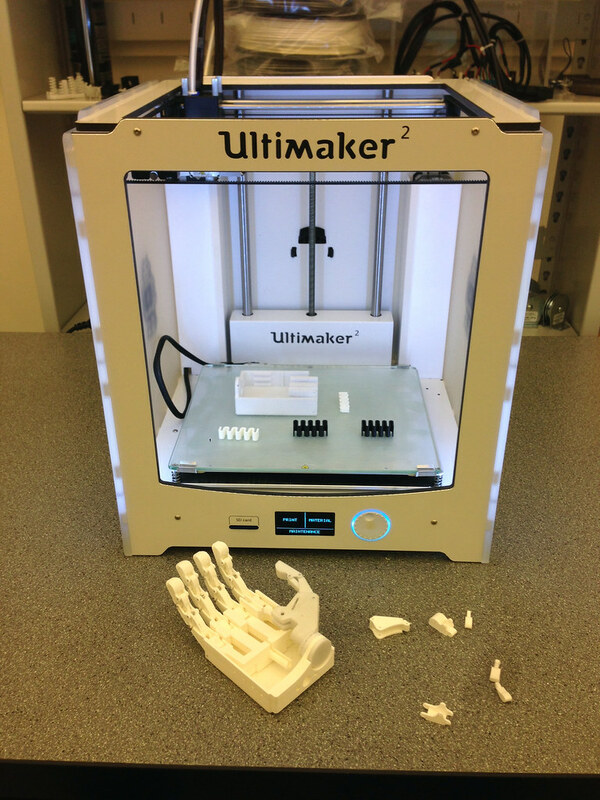 Using 3D printing, 3D laser scanning and 3D computer software, the system allows in-country technicians to produce a customized, 3D-printed prosthesis, matched to the unique anatomy of an amputee’s limb. VHP has established 3D printing centres equipped with all the technology, equipment and tools necessary to make 3D-printed prosthetics. In addition, VHP has formed partnerships with established in-country healthcare providers (Clinical Partners) who interface with amputees in need. Through VHP’s franchise agreement, the 3D print centres and Clinical Partners are trained to produce and deliver the Victoria Hand, while ensuring quality and one year of support for amputees. The system is driven by a financial incentive model, to ensure sustainability and upkeep of equipment. The clinical partners provide the clinic space, the clinical fitting expertise and local care networks. Amputees in need of a prosthesis first approach the Clinical Partner, where a certified prosthetist assesses their needs and casts a plaster impression of their limb. This, along with the amputee’s measurements, are sent to the print centre, where the technician scans the mold using a 3D laser scanner. 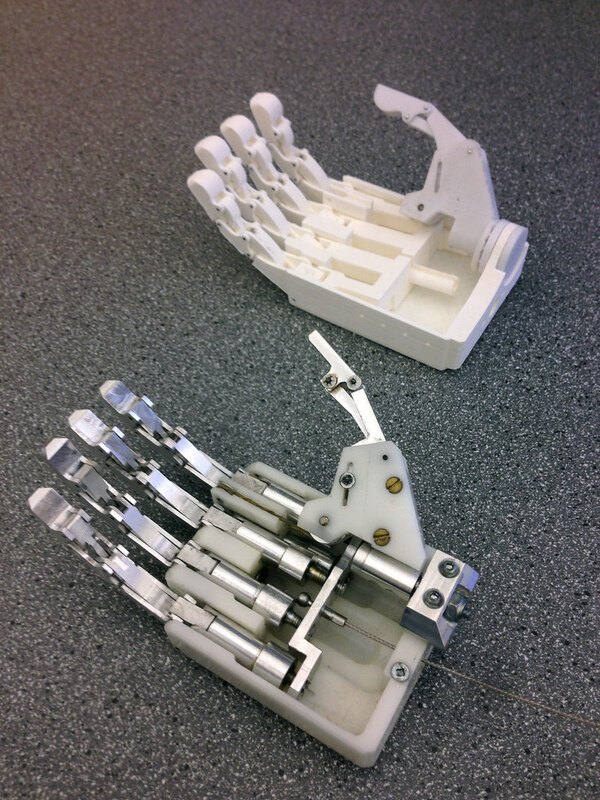 They then 3D-print the prosthesis parts, assemble them and deliver the completed prosthesis back to the clinic. The clinician fits the amputee and teaches him/her to use their new 3D-printed prosthesis system. The project team has partnered with dedicated and experienced prosthetic care providers, Range of Motion Project (ROMP) in Guatemala, the Nepal Orthopedic Hospital (NOH) in Nepal, and the Battambang Regional Physical Rehabilitation Center (BRPRC) in Cambodia, to make the prostheses available. completed successful field trials with 13 amputees in both Guatemala and Nepal. The ongoing vision for the project is to provide the Victoria Hand (VH) prosthesis to upper-limb amputees in various countries. The intent is for the distribution process for the prosthesis to be self-sustaining. This system is currently in place in Guatemala and Ecuador.